As technology advances, our craving for new possessions increases. We constantly buy new stuff we don’t really need and we throw away the things we no longer need instead of recycling or reusing them. What happened to reusing, people? We used to recycle and reuse everything, now we simply toss everything out without even thinking about reusing our items. 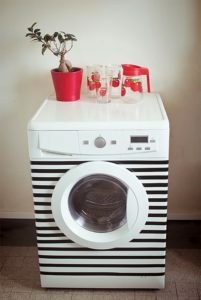 If you’re willing to reuse your old stuff, you need to read this article because here are the 7 most commonly thrown away items you can reuse. As you know, glass jars are very durable – they can last as long as 50 or even 60 years if they’re maintained properly. They can be used to store food as well as bulk items such as beans, etc. 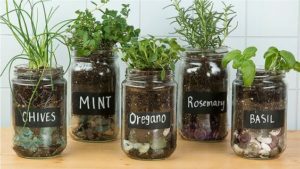 That’s not all, however – you can also use them to grow herbs or other plants, use them as wall or door decorations, make cups out of them – it all depends on your needs and creativity. 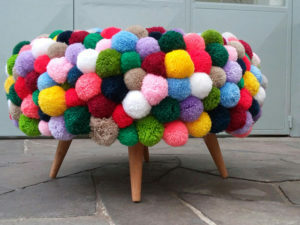 Instead of throwing away your old and unused clothing, bedding and toweling, turn them into unique and extravagant rugs. 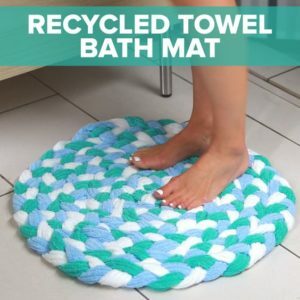 To have braided rugs is every DIY enthusiast’s dream and the Internet is filled with all sorts of videos which explain how you can make them. If you’re not into rugs, you can opt to turn them into washable cleaning rags or extravagant pillowcases. 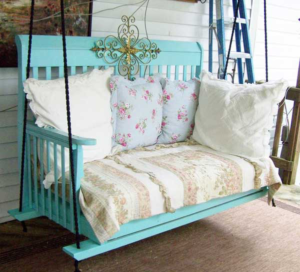 Reuse old fabrics in whichever way you wish, we guarantee you’ll enhance your home greatly with them. Most baby cribs are incredibly expensive and when your kid grows up they become unnecessary. If they have too big a sentimental value to be donated to those in need, you can transform your baby’s crib into a beautiful playground table, kids’ sofa, vintage desk and even a wall rack (for jewellery, plants or newspapers). Instead of throwing away old and broken appliances, reuse them. You can make a unique pantry by removing your fridge’s door, for example. You can also turn it into an ice container, a doghouse and even a luxurious sofa – all you need is a little creativity and instructions. What about your old washing machine or, more precisely, your old washing machine’s drum? You can use an old washing machine’s drum and turn it into a fancy BBQ, a beautiful planter or a stool. You can reuse plastic bottles however you wish. 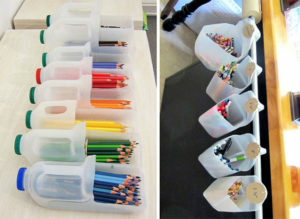 You can use them as planters, as jewellery boxes and pencil holders, and you can even turn them into beautiful chandeliers. You’ll be surprised but newspapers are great odour removals. Stuff them in your smelly shoes and enjoy your smell clean shoes in just a few hours. You can prevent icing of your car’s windows during winter as well as clean windows with newspapers. If you need vases – the good old magazine can be transformed into a beautiful vase and the newspaper should be your next choice when you’re making a pencil holder. Old tires are our all-time favourite when it comes to garden tables, stools and garden decorations. You can even create a kids’ playground where all toys and things are made of tires. People have said it – play with fire and get burnt, play with tires and it all gets fun! In the end, remember that throwing away your stuff isn’t the best idea, especially when you can reuse them. 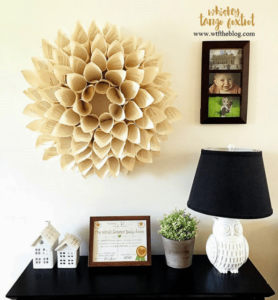 Sometimes all you need is a little inspiration and creativity to turn old items into beautiful home accessories, or even help you with simple household chores like cleaning.